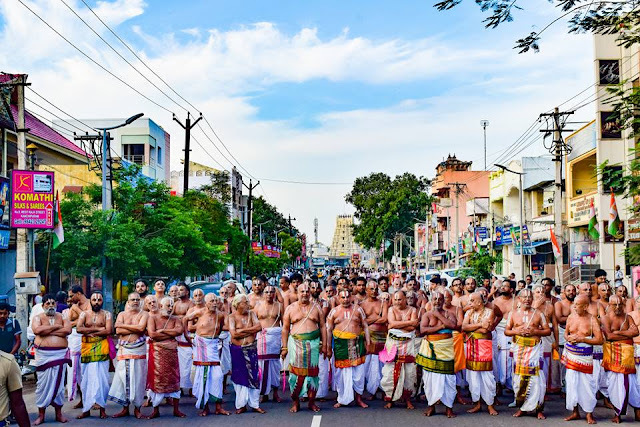 In divyadesangal - day 9 of Brahmothsavam would be hectic ~ morning there would be purappadu in ‘Ael mel pallakku’ – Porvai kalaithal vaibhavam – pranaya kalagam (mattaiyadi) – thirumanjana kudam, theerthavari – purappadu – and more .. at Thiruvallikkeni being Thiruvonam Sri Varadhar had periya mada veethi purappadu and in the evening it was Thiruvonam purappadu for Sri Parthasarathi. 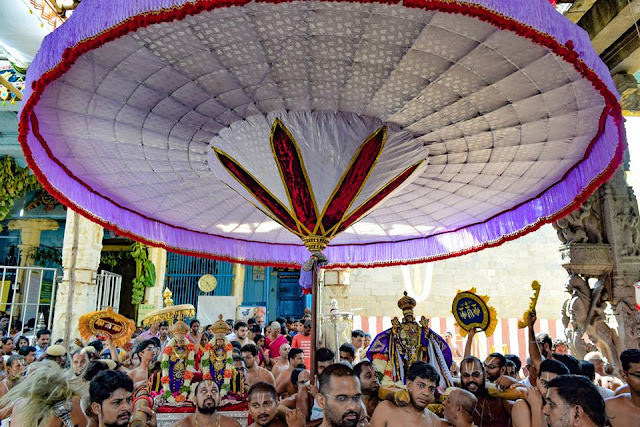 In his Thirukkurunthandagam, Kaliyan laments : ‘those who praised the Lord of Thiruppernagar found their salvation ~ in fact our most benevolent God was gracious to offer moksham to Sishupala too despite their utterings. 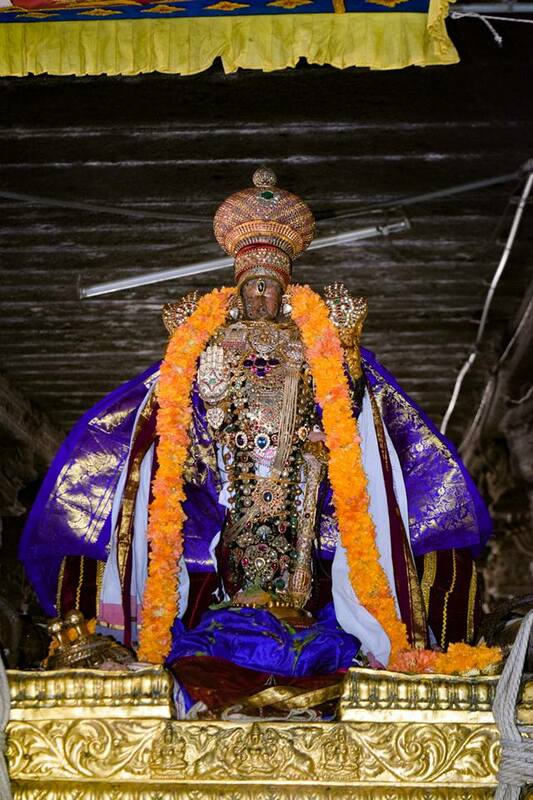 I am not capable of praising with choicest words being a fool ~ yet I would never even dream of abusing my ocean hued Lord and will only offer Him praises – my love towards Him is uncontainable and I yearn to reach His Golden feet. 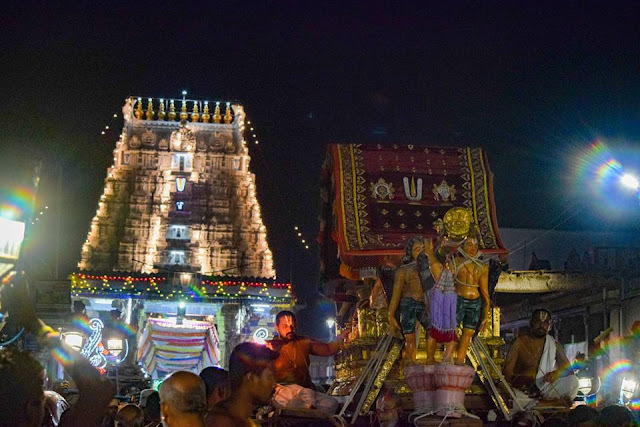 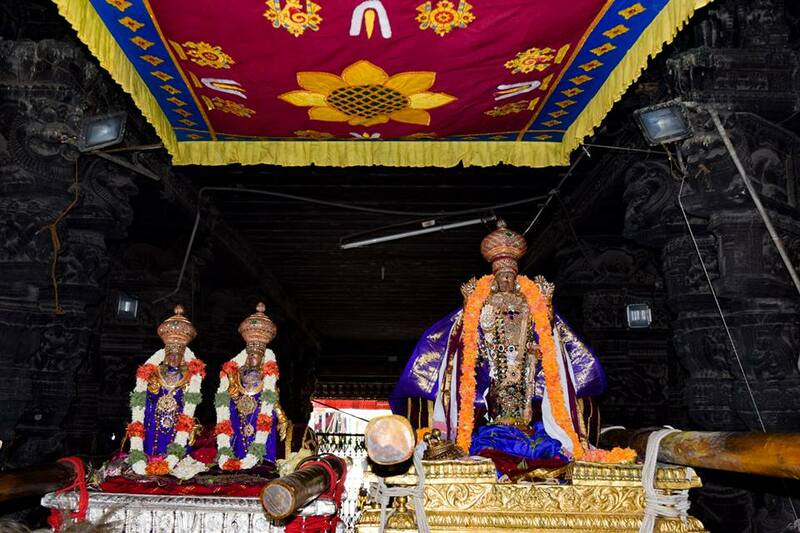 Above are photos of morning purappadu at Thiruvallikkeni – the ones below are of Thirukachi DevapPerumal, courtesy Thirumalai Vinjamore Venkatesh.